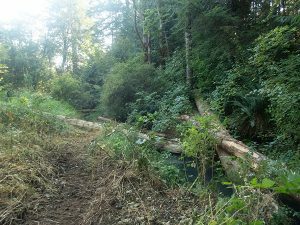 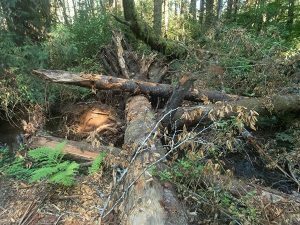 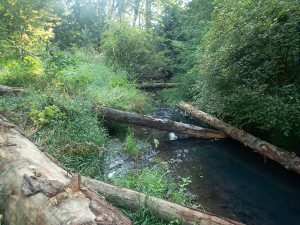 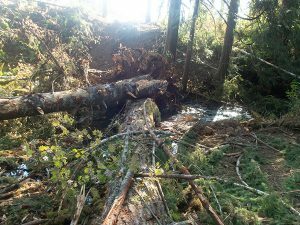 The goal of the project is to increase the volume of large wood within the mainstem channel, to approximately 200 pieces of wood per mile, to support salmonid habitat enhancement. 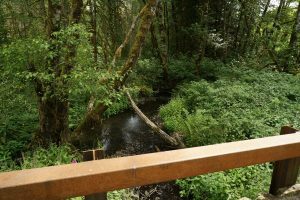 It will place approximately 400 large wood pieces along 2.5 miles in upper Milton Creek. 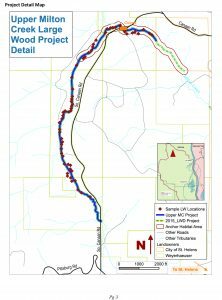 The project reach is within T7NR5W and T7NR4W; Weyerhaeuser timberland borders the entire length of the project reach. 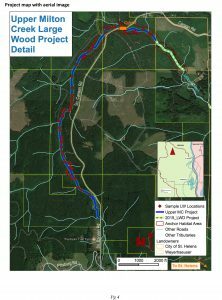 Multiple sites within the project reach have been identified by ODFW for large wood placement and are shown on the map. 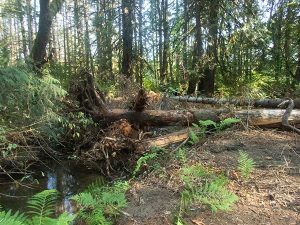 Construction for this project starts on July 23, 2018. 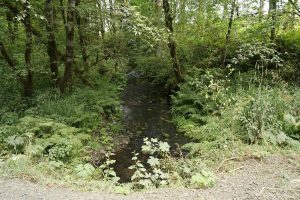 For more information contact Pat at 503-397-7904 or email: pat@scappoosebay-wc.org.